Clay Steele (left) and Philip Walter of WPA member Bagala Window Works in Westbrook, Maine. People fall in love with historical houses for many reasons, and one of the most common is the windows: the wavy glass, the high-quality wood frames, the idiosyncratic shapes. But it’s not always easy to find someone who knows how to repair and restore them. 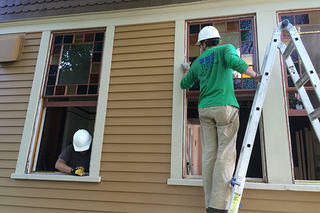 That’s where the Window Preservation Alliance (WPA) comes in. 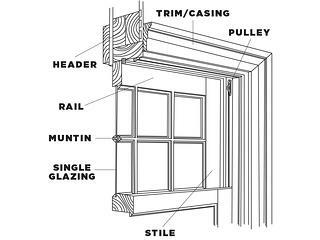 The year-old group forms a network of professional window restorers from all over the United States and parts of Canada in the hopes of helping homeowners who want to preserve their old windows. We spoke with Alison Hardy, owner of Window Woman of New England in Amesbury, Massachusetts, and the WPA’s president.